Shop with top rated national companies from the comfort of your home and support the non-profit or school(s) of your choice. Schools and non-profits receive a percentage of all sales generated through this website. 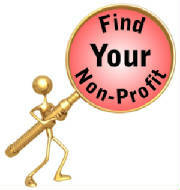 Simply select the non-profit or school(s) you wish to receive your donation then use the merchant link in the mall. It's just that easy!